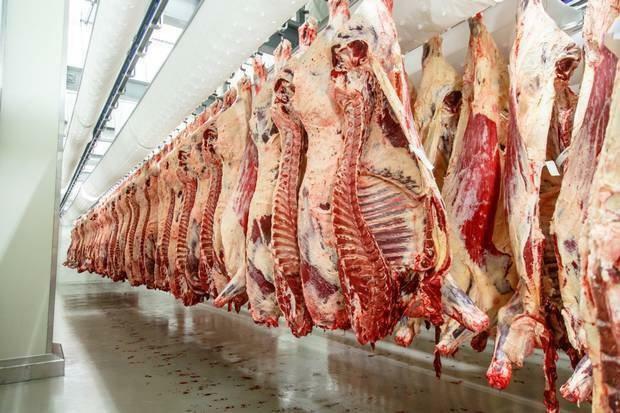 Meat factories have warned that the Central Bank's prediction of a severe dip in sterling in the case of a crash-out Brexit would pile further pressure on weak beef prices. Meat Industry Ireland's (MII) Cormac Healy said the food sector has had to deal with a steadily weakening sterling over the last two years. "A weaker sterling piles more pressure on the competitiveness of our exports, on top of the challenges of tariffs, import quotas and potentially increased international meat imports into the UK," Mr Healy said. "We also have concerns about the impact of a disorderly Brexit on the economies and in turn, consumer spending in some of our important continental EU markets," he added. The Brexit debate had "generated uncertainty" for both farmers and processors, Mr Healy maintained, while weakening consumer sentiment had been "impacting on market returns for some time now."